sense of urgency in his eyes. "Ummi, please can't you tell Grandma to be a Muslim?" dua that Allah would guide her and open her heart to accept the truth. I was raised Catholic in a practising family, but after accepting Islam nearly 25 years ago, I had already spoken much about Islam to my mother. I had even had my hopes that she too would declare herself a Muslim, when at one point she had said to me, "I can't bring myself to say, 'Through Jesus Christ our Lord' at the end of my prayers anymore." How my heart had danced when I heard those words! But then my heart sank when she said a few weeks later: "If I were to admit that Islam is the truth, then I would be saying that my father and my grandmother are in hellfire." I was stunned. Stunned, because whether or not her father and grandmother were in hellfire was not hinging upon her renouncing the Catholic faith and declaring Islam to be true. Our belief in or denial of something does not alter its reality, and that an intelligent woman like my mother didn't get that left me speechless for a moment. I was also amazed to realize that more than 1400 years after the revelation of the Qur'an in the "uncivilized" society of Arab Bedouins to the Unlettered Prophet (peace be upon him), an "educated" woman of "civilized, modern" society was denying what her fitra told her to be true, and her argument was no different than that of the people of the Prophets and Messengers Nuh, Ibrahim, Muhammad, and so many others (peace be upon them all) when they said: "Enough for us is that which we found our fathers following" (Al-Maidah 5:104). SubhanAllah! A year or so later, I married and left the United States to join my husband. Two months later, 9/11 happened. The distance and the mainstream news my mother was listening to made it increasingly difficult for me to give her dawa. It tore at the heart for me to know the peace and perfection of Islam and to see my mother – the dearest of people to me – living outside of its guidance. I continued to pray for her. I had my first child (and all the others as well) far away from my mother, and we used the internet to keep in touch and to attempt to establish a relationship between grandmother and grandson. 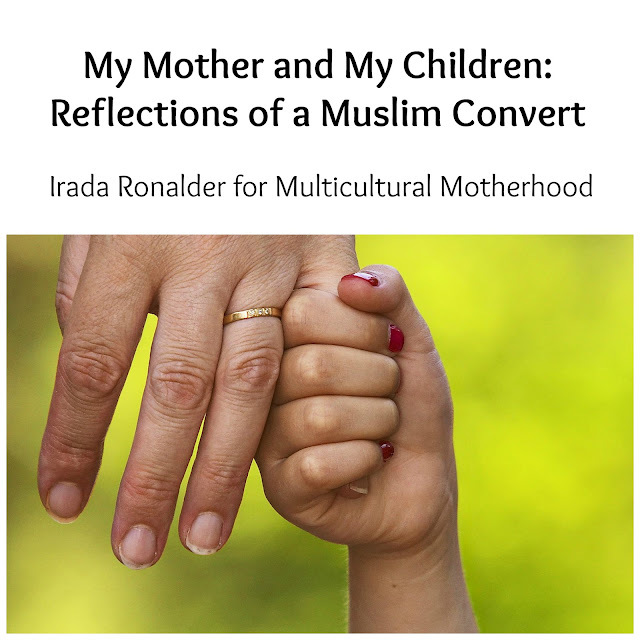 I remember one particular Skype call when I had left my mother and son talking to each other; I wasn't really paying attention to their conversation, but my heart fell to the floor when I heard my three-year-old saying to my mother, "Why don't you be a Muslim? You need to be a Muslim, so you don't go to hellfire!" The feelings and beliefs that my mother and I had - ever so politely - left unspoken were given words. To believe, or rather to know, that if your loved one does not accept Islam before death will damn them for eternity is emotionally overwhelming. You live in hope for their guidance; you make dua in every salat asking Allah to make them Muslim; you comfort yourself with the knowledge that Allah is al-Adl (the Most Just) and al-Hadi (the One Who Guides), but you never – at least I could never – say to her that her abode would be hellfire if she didn't submit to her Creator. Of course, I spoke in general about it (thus, her ultimate obstacle in accepting the deen was accepting that her father and grandmother would be in hellfire), but I never, ever said it so directly to my mother. Now again, 12 years after that first heart-wrenching moment, my other son was pleading me to change his grandmother's belief and to save her from eternal torment. As parents, we do our best to please our children and to ease their worries, but this was out of my hands. Alhumdulillah,I now have 6 children. The four eldest have seen my mother twice (although the twins were only a year at the time and don't remember the occasion). My fifth child has seen her once, and the youngest not at all. Their relationship with her is restricted to communication via Skype and the boxes of goodies and gifts that she has sent over the years. It's a struggle. My mother and my children long for the closeness that seems so natural between grandparent and grandchild, but the great rift of opposing beliefs is always there. It is rarely acknowledged by words, but it is undeniably lurking in the shadows. When it begins to reveal itself, it stings the hearts and the owners of those hearts quickly seek refuge in that space of – not denial – but distance and suppression of thought. Many a time, one of my children has, in conversation with my mother, responded with "alhumdulillah," "in sha Allah," or an "assalamu alaikum" cut off midway when the realization suddenly kicks in that it's not a Muslim on the other end. Immediately, the self-conscious embarrassment sweeps across my child's face, and he or she will turn to look at me for validation and a comforting word of reassurance that they haven't just committed an unforgivable offense. Eid always requires an extra effort to keep these thoughts at bay. These are joyous occasions of celebrating with family and phone calls wishing good tidings and blessings to loved ones, and the disconnect, the blatant absence of contacting Grandma cannot be hidden and is difficult to ignore. And it's a two-sided road, I know how momentous Christmas, birthdays, Easter, and all the other holidays I celebrated as a child are for my mother. I know it pains her that we are not part of her celebrations and moments of happiness as well. Submitting to Allah does require putting Allah's orders and what He loves above your own desires; in fact, that is jihad of the nafs (the struggle with yourself) in a nutshell. So, I use these moments of discomfort and awkwardness, concern and worry to teach my children about Islam and what is expected of them. I have told them that the responsibility is on us to remind Grandma about Allah (and yes, we say "God" when talking to her so it doesn’t seem like a different deity than the one she believes in and it doesn't automatically erect her walls of defense) and to always, always make dua for her. It gives me the chance to remind them that we are responsible for calling others to Islam, but we are not responsible for their refusal or disbelief. I have stressed upon them that no matter what it is that we want, it is Allah who is the Only One to decide and decree a matter and that He Subhana wa ta'ala is al-Hakim and al-Adl (the Most Wise and Most Just). So, He alone is the one who guides and makes Muslims. I have also taught them that Allah is the Owner of the Hearts, and it is He who puts the love of one person for another in the heart, and He removes it as He wills. I have also told them about the disbelieving father of Prophet Ibrahim and the parents of Prophet Muhammad and how they are in hellfire even though their sons were the Messengers of Allah (peace be upon them both). I have used this delicate situation also to tell my children that there is no sadness in Jannah. And if their grandmother were to die upon disbelief (audhubillah) and if Allah were to bless us with entry into Jannah (ya Rubb, we ask you for al-Firdaus and to be in the company of your prophets and the righteous. Ameen), then Allah would remove the love for Grandma from our hearts just as He has put it in. For if there is no sadness in Jannah, then how could one love someone and not be saddened knowing that loved one was being eternally punished in hellfire. It could never be. We thank Allah for every situation. Raising Muslim children with a grandmother who is non-Muslim is one of the tests many of us face in this dunya, and being tested is the purpose of this life. May Allahu Subhana wa ta'ala guide my mother to Islam. May He rectify our affairs for us and all of the Muslims. May He, Suhana wa ta'ala, grant us the good of this life and the good of the hereafter. Allahumma Ameen. Irada Ronalder is a writer and editor. 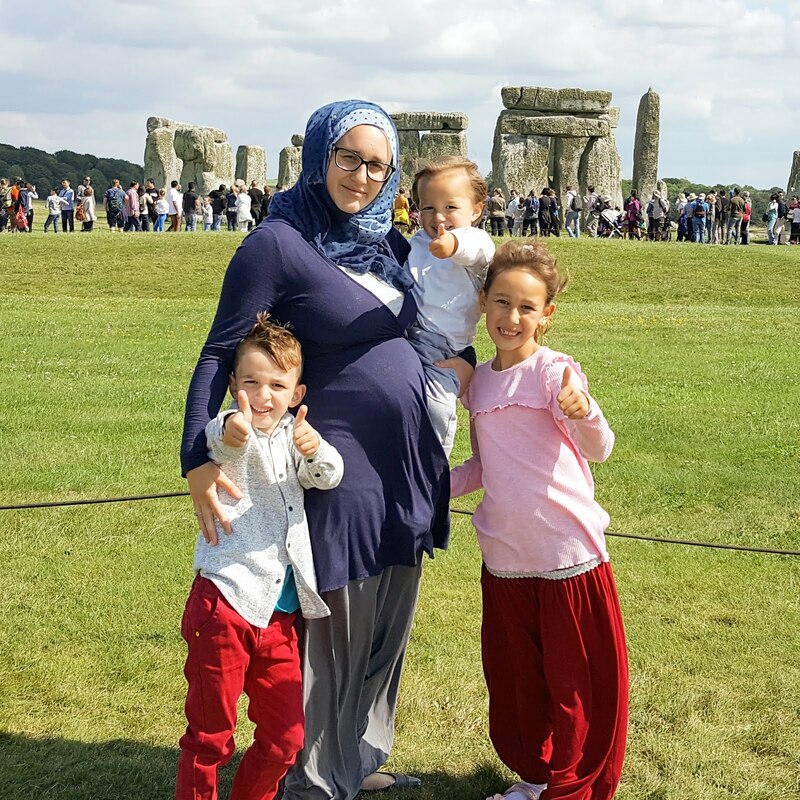 She is also a coffee-lover, an American convert to Islam, mother of 6, and an active proponent of open and honest introspection as a means to find – and grow from – the lessons in one’s own life story. She is currently working on her upcoming book for Muslim women who struggle to find contentment in polygynous marriage, and her fb group “Embracing Your Qadr” offers solutions for many of the frustrations these sisters face.